The example of student colour theory work shown here is no doubt familiar in form to art students and teachers throughout the world. But familiarity should in no way dampen the sublime nature of such deceptively simple work. The dynamic angles and bold strokes shout of energy and intense emotion (yet note how the negative spaces are filled with a light wash). But it is not the content as much as the context that makes this work so remarkable and worthy of further meditation. The piece shown here is a student work created in Terezín, the infamous Nazi transit camp and Jewish stockade. Under the tutelage of the Bauhaus artist/designer Friedl Dicker-Brandeis, the Terezín children studied the principles of art through drawing, painting, and collage– creating over 4500 works between 1942 and 1944. For many of the children of Terezín these classes, taught in strict secrecy, became the focus of intense anticipation and collective preparation. Amid a world of hunger, disease and death to learn, create and share in the knowledge of beauty and truth became inextricably enmeshed with the desire to live. Strongly influenced by Paul Klee’s Bauhaus lectures on aesthetic empathy, Dicker-Brandeis taught her students movement, form, colour, texture and materials. The children were led into communion with the world of beauty and were encouraged to find therein a language to express personal experiences, hopes, dreams, and fears. Though the lessons were structured (from colour theory to landscapes to careful study of master works), Dicker-Brandeis vehemently rejected any attempts to impose a preconceived adult aesthetic onto the children. She followed Johannes Itten’s philosophy that the child’s own inner voice was pre-eminently valuable and should in no way be coerced and manipulated by self-serving adult demands. To this end students worked in larger classes in order to encourage peer reliance, to create among themselves systems of mutual encouragement free from stifling instructor attention. The lack of materials was also viewed as an opportunity for the children to develop their own equitable systems of sharing and interdependence. Often children came to class in intense psychological turmoil. Dicker-Brandeis wrote that in one instance a ten year old girl would not speak but only ‘scream passionately’. Eventually through patient and compassionate teaching the roots of the girl's anguish were coaxed out onto paper until she became ‘wonderful to work with’. The children’s drawings, collages and paintings were seen as windows into their inner states. Dicker-Brandeis took time after each class to record on the back of the children’s drawings relevant insights and observations concerning their emotional struggles. To many children at Terezín learning art became a pathway to psychological resilience and survival. The methods and insights of such teaching is recognized today as a major progenitor to modern art therapy. At Terezín the ultimate focus of such art exercises was always the children themselves. To be so unfairly condemned and to exist under the constant threat of annihilation and yet to engross oneself in the study of beauty and create a community centred on the advancement of the individual`s universal worth, is in itself a profound revolt against the ideologies of power and hate. When taken in such context, surely a child`s simple colour theory exercise can call forth as much reflection and admiration as do the works of the greatest and most accomplished artists. Over 15,000 children at Terezín were eventually transported to extermination camps from which they never returned. In the fall of 1944, after almost two years of passionately teaching innumerable students, Dicker-Brandeis carefully packed away her children's drawings and with the help of a local Rabbi hid them in an attic with instructions that they be recovered after the war. She then volunteered for the next transport to Auschwitz. She and her students arrived there on October 6, 1944 and were summarily murdered in Birkenau. 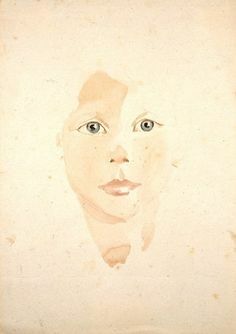 The final picture in this meditation is a simple watercolour study of a child’s eyes, completed by Dicker-Brandeis in 1944. Contemplate now what the eyes of that nameless child longed to see and what the heart of this artist longed to give: the greatest of all beauty and an immense and selfless love as dazzling as light itself. 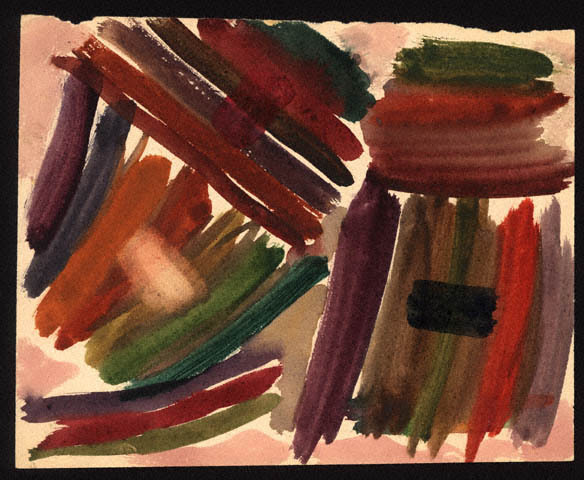 Image 1: A colour study by a child in the Nazi transit camp of Terezín, Czech Republic, made somewhere between 1942-1944. Image 2: Friedl Dicker-Brandeis: Portrait of a Child, Nazi transit camp of Terezín, Czech Republic, made somewhere between 1942-1944. Frederika Dicker (1898-1944) was born in Vienna. She became a student of Johannes Itten at his private school in Vienna and later followed Itten to study and teach at the Weimar Bauhaus. She was involved in textile design, printmaking, bookbinding and typography workshops from 1919-1923. After leaving the Bauhaus she worked as an artist and textile designer in Berlin, Prague and Hronov. She married Pavel Brandeis in 1936. Dicker-Brandeis and her husband were deported to Terezin in December 1942. During her time at Terezín she gave art lessons and lectures and helped organize secret education classes for the children of Terezín. She saw drawing and art as a way for the children to understand their emotions and environment. In September 1944 her husband was transported to Auschwitz. Dicker-Brandeis volunteered for the next transport to join him. F. Dicker-Brandeis died in Birkenau on 9 October 1944. Her husband Pavel survived. After the war two suitcases with children's drawings were brought to the Jewish Community in Prague. From the nearly 660 authors of the drawings 550 were killed in the Holocaust. The drawings are now in the Prague Jewish Museum, with some on display in the Pinkas Synagogue in Prague. Dan Law studied Arts and Theology at Regent College in Vancouver, BC, earning the Christianity and the Arts Prize in 2013 for his graduate sculpture/installation work. Dan lives and works in Tofino, British Columbia, Canada.